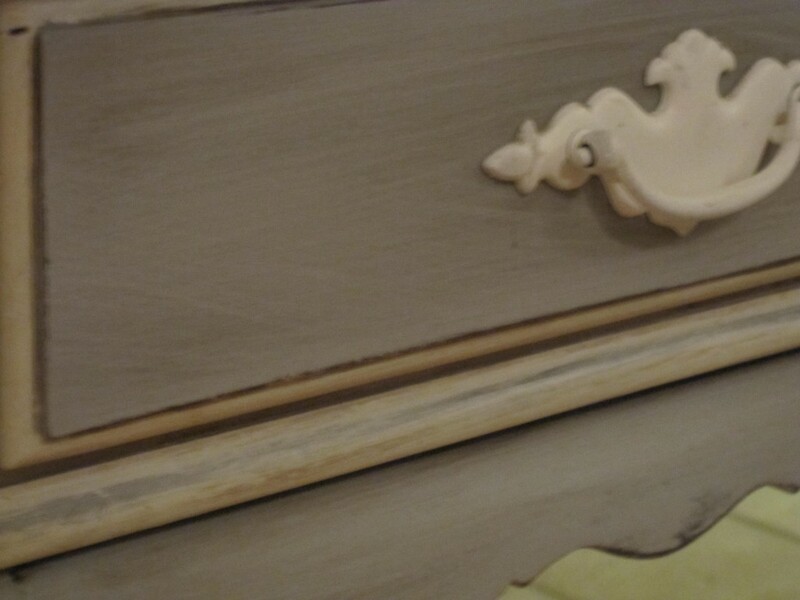 This piece started with an interesting story – Lauren had excitedly found a listing on Craigslist for a set of pieces and we arranged to pick them up Saturday afternoon. Off we went and when we pulled up to the place, we both went “oh crud!”. The house had pizza boxes on the front lawn and a scary looking gentleman drinking out of a can in a paper bag was eying us from the front porch (mind you this was 11am). I got out and told the man why we were there and he led us into the backyard – after first chaining up a large pitbull. Double yikes. We quickly loaded up 4 pieces without really looking at them – for slight fear of our lives. When we finally made it home – with everything intact – including our skins. 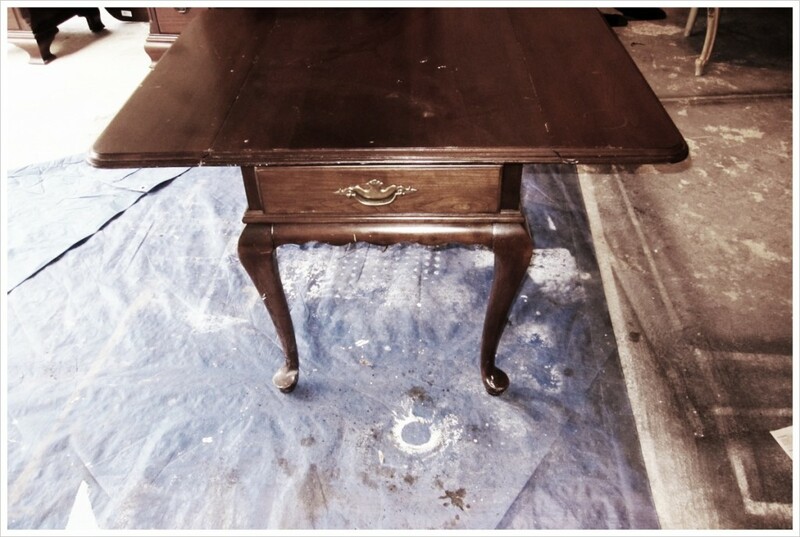 We unloaded the loot and this little gem rose to the top – a vintage Ethan Allen sidetable! The Before - So Sad! 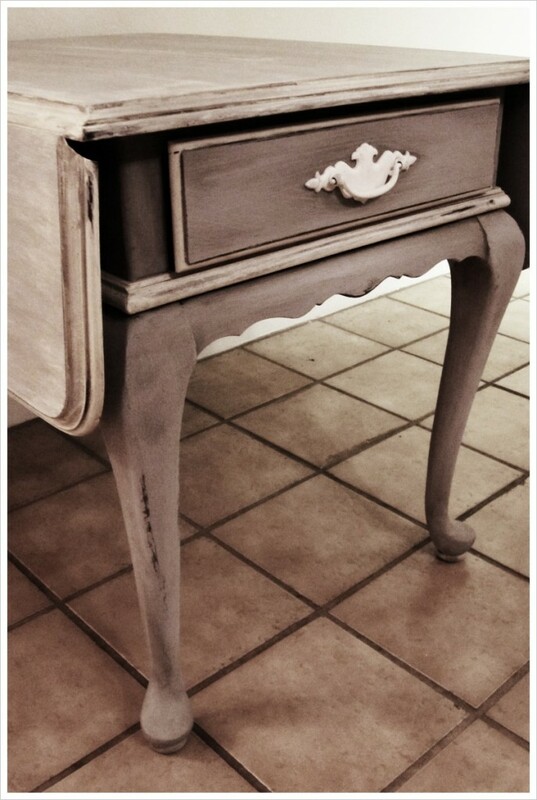 See – I told you it was ugly before! 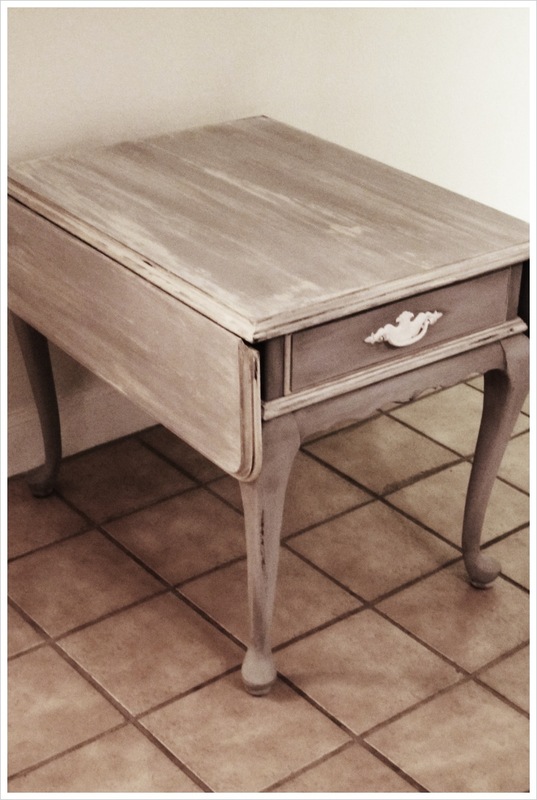 I restored this with a coat of Annie Sloan’s Paris Grey, whitewashed it with Old White and then gave it a coat of dark wax. All of the hardware is in great shape and now this vintage lovely is ready for a new home. 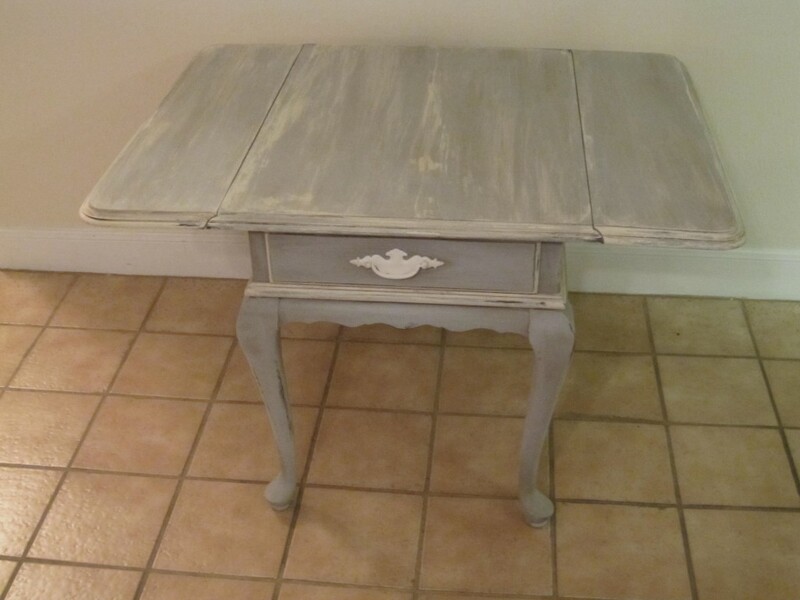 Price: SOLD – Contact us to buy this side table and arrange pick up. Delivery available in the Houston area for $10-$25 (depending on location and time of day, you know, because of the traffic). 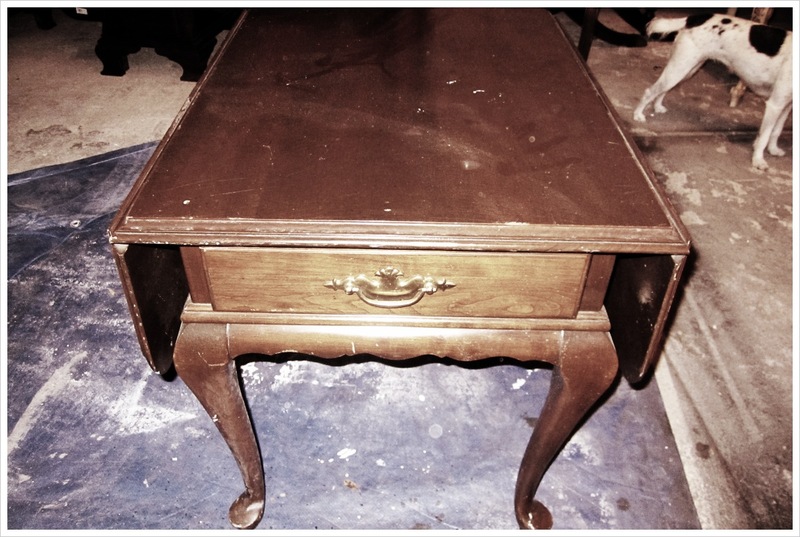 Oh, and I forgot to mention – it has dovetail construction and the original Ethan Allen stamp on the inside! 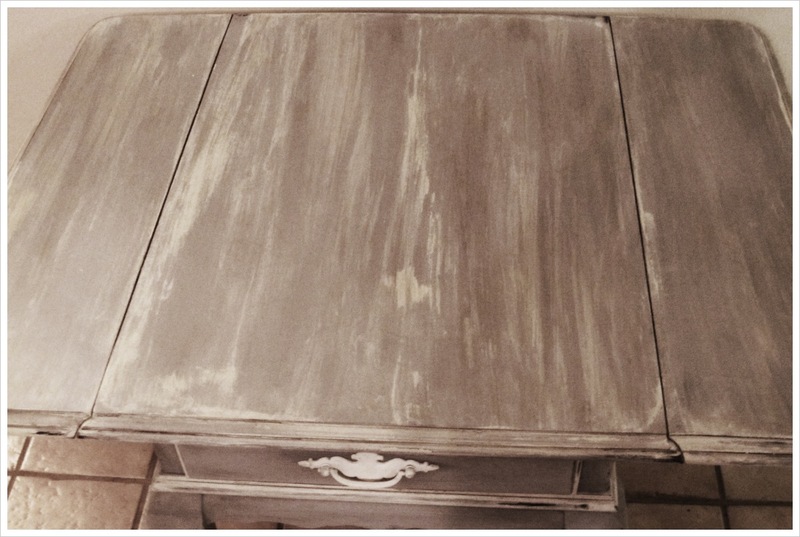 I love how you transformed this table. 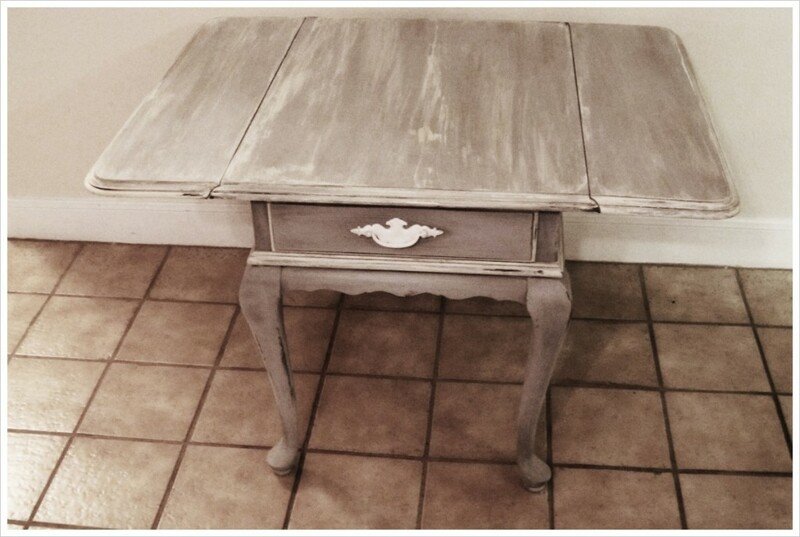 I have this exact table in my garage from my mother in law. This gives me hope for it.